Boy have I got a highlight for you, my friends. Here’s the setting: the St. Francis de Sales Knights are down a point to the Lima Senior Spartans after Lima kicker Cole Miracle (I swear I’m not making this up) knocked in a go-ahead field goal. There are three seconds left on the clock, and Lima is kicking off. You know what that means: a go-for-broke lateral-fest of a kick return from the Knights. Strap in! 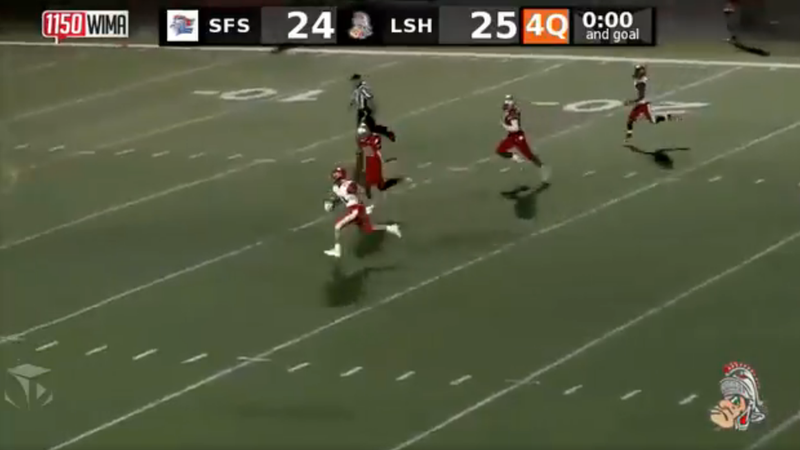 This play has everything you could possibly want in a sports highlight: stakes, desperation, a series of unlikely play-extending feats, and then a dramatic, mano-a-mano, hell-bent, all-or-nothing sprint to the end zone. The game-saving tackle was made by a guy named Miracle, for crying out loud. [kisses fingertips] Molto bello!